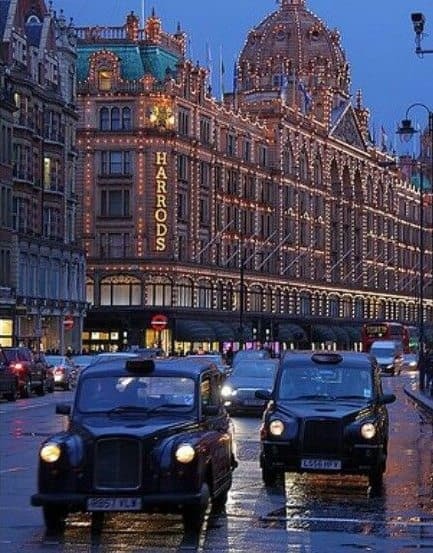 Planning an Autumn Hen Party in London. Top 3 Hen Party Essentials For Looking Fabulous At Your Autumn Hen Party. I love hen party planning, especially in the Autumn. The perfect hen party activity for a chilly afternoon is hat making. There are some days in London that you really do need to dress for and I’ve been thinking about how you can still wear your fabulous hen party clothes even in the most extreme English weather conditions! My first essential item for an Autumn hen party is an umbrella – “Of Course It Is!” you shout – but I’m not talking any umbrella I’m talking the most beautiful, chic and gorgeous umbrella that will keep your Glam hatters’ fascinator (that you’ve just lovingly made for two and a half hours whilst nibbling on a vintage afternoon-tea and giggling with the Glam Hatter Girls) and your whole outfit dry. Here it is (above) Ta Daaaa – yes it’s simple and you can see through it, which means that when you pull it right down over your head and further over your shoulders you will still be able to see where you’re going. There will be no walking into lamp-post mishaps (unless you’ve consumed a little bit more champers than you should.) There will be no clashing of umbrella and outfit – it’s see through, it goes with everything and furthermore you will not loose it – it’s too big, should you leave it anywhere you’re friends will see it immediately and hand it back to you. *Oh and by the way it’s so stylish that Lucy Watson of Made In Chelsea was seen sporting one this season. 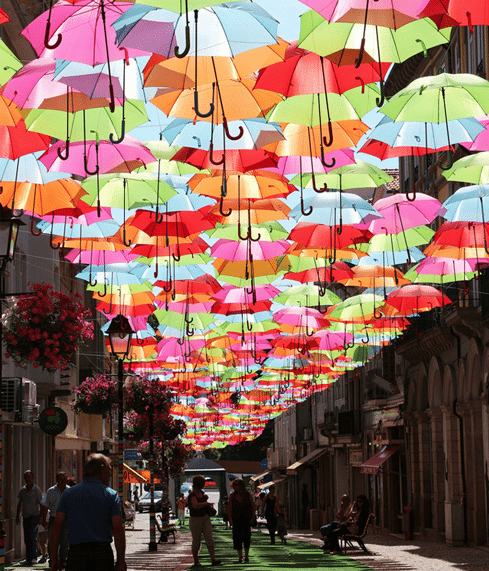 You can get your very own delish umbrella from none other than good old Marks & Spencer. 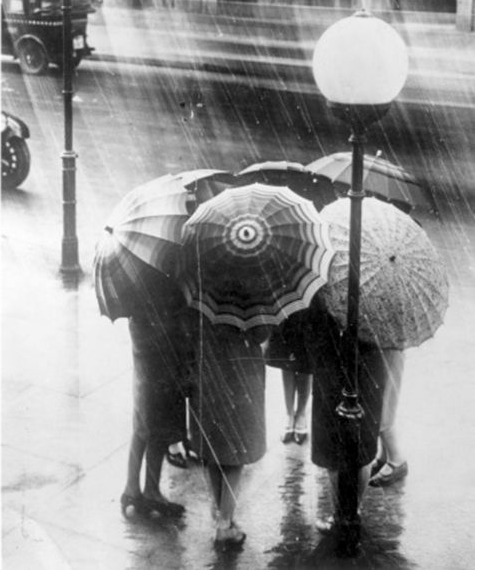 Even with the wonderful umbrella recommended above a rain coat is always just the thing for an Autumn hen party in London. 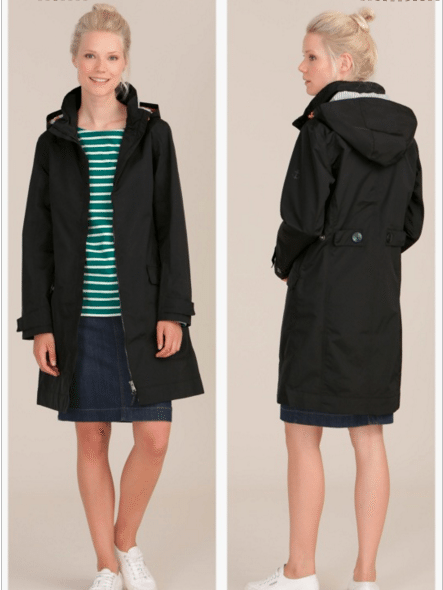 I have thoroughly researched rain coats, until recently I had pushed a baby buggy for 5 years (Lottie then a double buggy with Lottie and Tilly, then back to a single one with Tilly!) and when you are pushing a buggy you absolutely cannot also hold an umbrella. 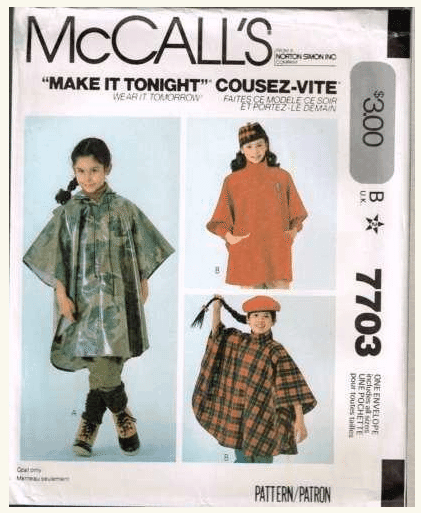 I spent a lot of time finding the perfect raincoat (in the mean time getting completely drenched in my parka – followed by my caramel coat when the kids were old enough not to use me as a wet wipe/hanky). I finally found THE ONE in John Lewis, it is made by Sea Salt, who are based in Cornwall (Yay) and make all their lovely things in England. Above is a picture of it – simple, stylish, will go with anything because it’s black and if you’re not wearing a jumper underneath you can sinch in the waist using the handy popper things at the back. Most importantly even if it was to completely bucket down you will remain dry. There are other companies that make rain coats, Boden also do some nice ones but I find prints on a rain coat hard to carry off unless you are 12! Or you could make your own tonight!!! High heeled wellies- ok, bear with me on this. 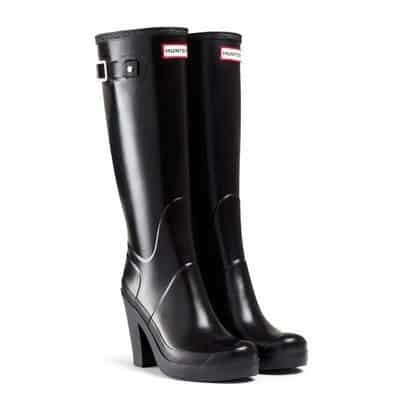 In all honestly until writing this blog it hadn’t occured to me that high heeled wellies could be a hen party essential but I couldn’t think of any other shoe/boot that would keep your feet completely dry in our freakish English weather! So I thought, hmmm, maybe some clever person has invented a high heeled wellie (Am I massively behind the times on this? Does everyone else already know??!!) So I googled “high heeled wellie” and low and behold, it’s already a thing – I mean there are hundreds of them. I usually try and forgo labels as I prefer to use my imagination and be able to afford to clothe my kids, but in this case….! So take that rainy London Hen Do Day! These hens will go to the hen party and whatever the weather throws at them they will still look gorgeous! Happy hat-making ladies and enjoy your Autumn Hen Party Planning. More hen party activities here. Mac from Sea Salt here.